Happy Monday, All! I hope everybody had a nice weekend. I had a super busy and mostly crafty weekend for a change. 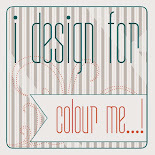 I got several projects accomplished, including this one which I designed for two challenges. 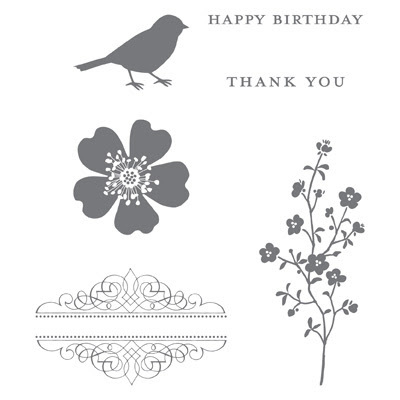 It features the Morning Meadow Stamp Set , which is one of my new faves. The first challenge is from Dynamic Duos. 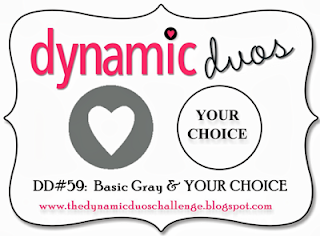 This week we are invited to create our own Dynamic Duo using Basic Gray. As soon as I saw this challenge I knew what other color I wanted to use. In my straightening up process the other day a scrap of Basic Gray landed beside a scrap of Crisp Cantaloupe and I thought they looked awesome together. 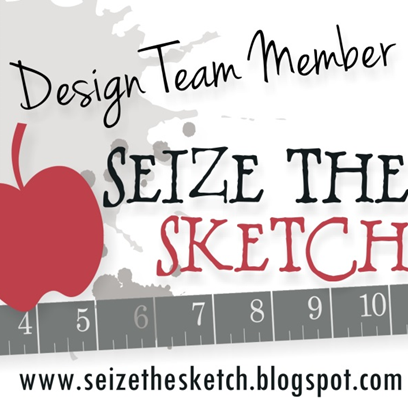 This great sketch was provided by Deb at Sketch Frenzy Friday. I was inspired immediately and visualized a doily for the circle element. This card has the illusion of being clean and simple because of all the white space, yet it has lots of interesting little layers. I used DSP from two packages, Birthday Essentials and Epic Day (the tape measure). I used two embellishments in Crisp Cantaloupe, Ruffled Ribbon and In Color Boutique Details. The focal image was colored with markers. Thanks so much for stopping by today! 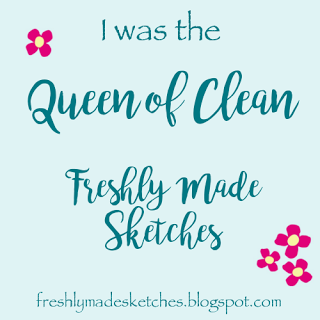 I would be ever so happy if you left me a comment! Sandy, you're right, there certainly is lots of interesting little layers in this card! I love that frilly ribbon! Great choice of colour to mix with the grey. Thanks for joining us at Dynamic Duos! 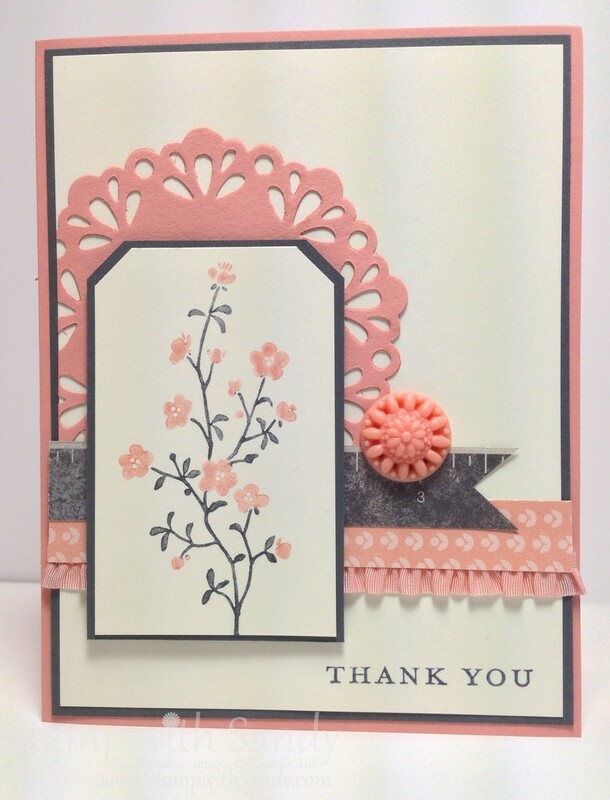 Super pretty I love the colors pink and grey are beautiful together and great details ! These colors are gorgeous together! So elegant! 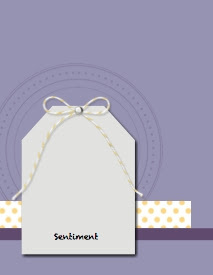 Love the way you used the ribbon! Beautiful card! 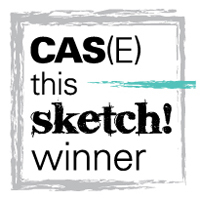 Thanks for joining us at Sketch Frenzy Friday! Hi Sandy, your card is so elegant and feminine. 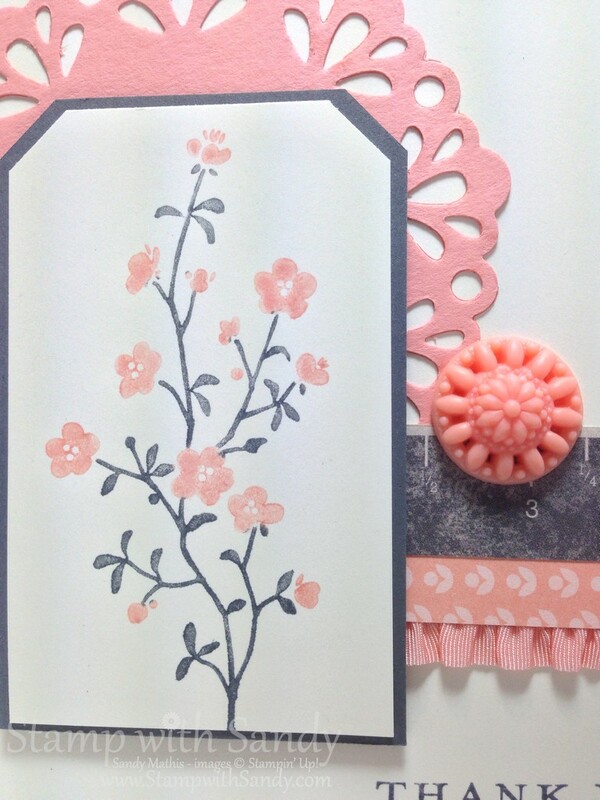 I love the color combination and the image as I too am a big fan of this stamp set! Thanks for joining us this week over at SFF. Beautiful card! I love all the little details and the overall elegance. Great job!